Discover picturesque Nagaland, located in the lap of the Himalayas. Experience local life at a homestay in Khonoma village, explore Mon. Soak up the unique culture and history of the land. 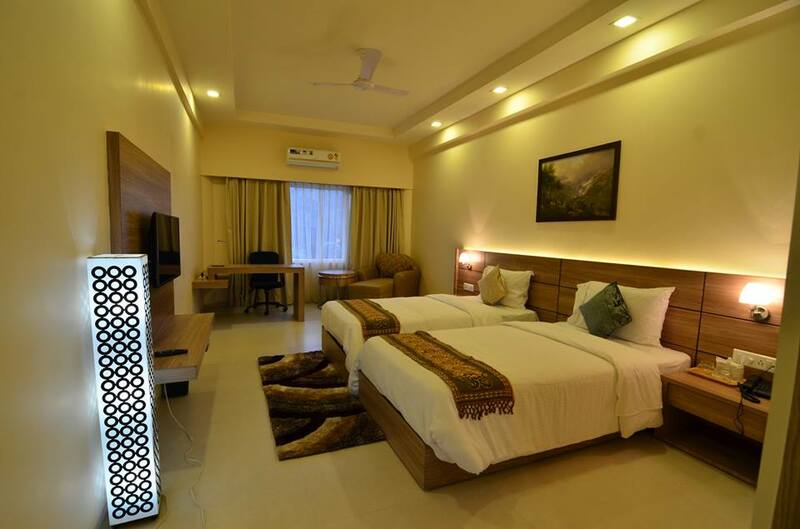 Arrive at Dibrugarh Airport, where you will be received at the Airport and will be taken to your hotel. In the afternoon visit a tea Garden near around Dibrugarh. Spend the evening shopping at the Dibrugarh market.Dinner and overnight at hotel. After breakfast, proceed to Mon, drive through the beautiful countryside of Assam (120kms/06hrs). On the way, stop at Sonari town for an early Lunch .Walk around through the small town and continue the drive to Mon. Upon reaching Mon check in to the hotel. Spend the afternoon exploring Mon. Dinner and overnight at Mon. Located at an altitude of 897.64 meters above sea level is the land of Konyak Nagas , they were one of the great warriors among Nagas and practiced headhunting during the historic times. After breakfast, drive to Longwa village (40 kms) which is in the border of India and Burma. Visit the Angh (Chief) where you may also see the traditional form of making opium. Walk around the village and visit Morung - Naga boy’s dormitory served as an acculturation and learning place during the headhunting times. Proceed to see Gun making place where they traditionally manufactured Gun and also visit the craftsmen’s house to see the beautiful wood carving. Return back to Mon. After lunch proceed to Hangphoi village to meet the Headhunters with tattooed faces. Dinner and overnight at Mon. Post breakfast, drive to Tuensang district (180 Km/06-07 Hrs) of Nagaland bordering with Myanmar. It is the eastern most and the largest district in the State. And is named after the village which is situated closed by the district headquarters. The District is a home to tribal group such as Chang, Sangtam, Khiamniungan,Yimchunger and Phom Naga. Each different tribe has a different culture, traditions and festivals.Afternoon is at leisure. Dinner and Overnight at Tuensang. Today, spend the day exploring the different villages of Tuesang. In this region you may encounter many Mithun – a semi – domesticated animal which is cross between water buffalo and a cow. Explore villages such as Noklak - It is inhabited by the Khiamniungan tribe and is popular for its cane work, handicrafts and artefacts. Another village, Longtrok, find the ancient relics of the Tsongliyangti and Chungliyangti civilizations, which are represented by the six legendary stones. Dinner and overnight at Tuensang. Today proceed for a long drive to Touphema Tourist village (Appx 8-9 hrs drive). On the way, stop at Longsa village in Wokha area to see the Lotha Tribe. Lothas are renowned for their colorful dances and folk songs. Like other Nagas, the Lothas practiced headhunting in the older days. On arrival at Touphema Tourist lodge check in to your room. Dinner and overnight at Touphema. This morning explore the Touphema village (65 Km/ 4 hrs). 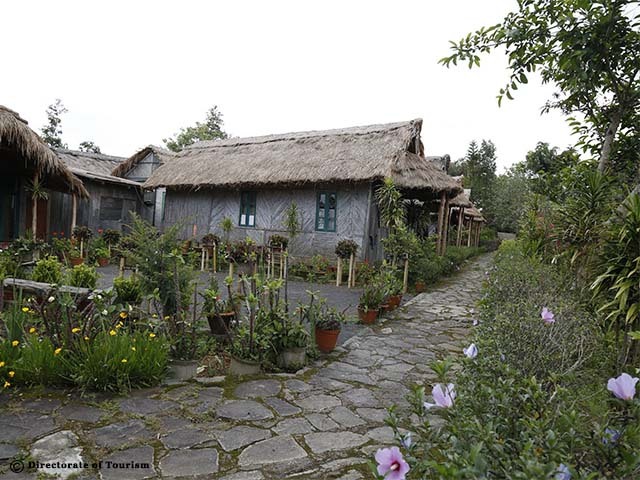 Touphema offers exquisite traditional Naga life in the lap of nature a village that has been set up to preserve and showcase the Naga traditional life style. The beautiful Khonoma village is inhabited by people from the Angami tribe. Check out of the hotel in the afternoon and proceed to scenic Khonoma. 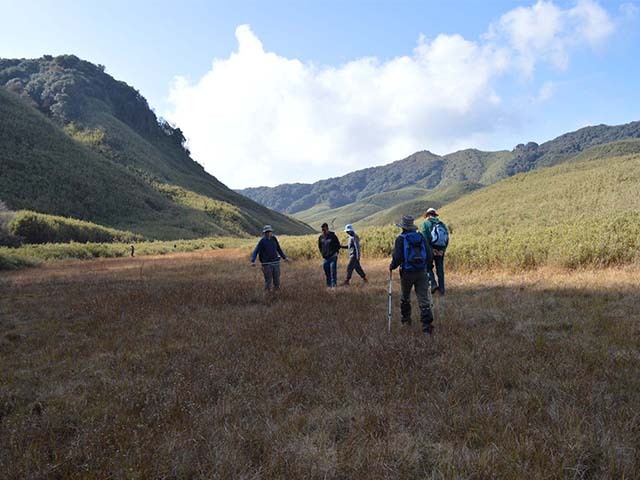 This morning trek to Dzukou valley (08kms/06 hrs), the valley of flowers. The valley stands at an altitude of 2500 meters above sea level. During March - April the whole valley is full of flowers. In the afternoon, trek back to Khonoma, grab a quick refreshment and drive to Kohima. Dinner and overnight at Kohima. Your last day at Northeast India. After breakfast drive to Dimapur Airport (75km/03hrs) to board the flight to Kolkata & connect further (Flight cost not included). Tour ends on arrival at the Airport.